On a strictly PERSONAL RELIGIOUS level, I oppose abortion. And yet, as a strictly legal, Constitutional matter, I acknowledge that our United States Supreme Court has decided that we the people have the FREEDOM to make deeply personal decisions for ourselves, WITHOUT governmental interference. Yeah, they were are that bad! 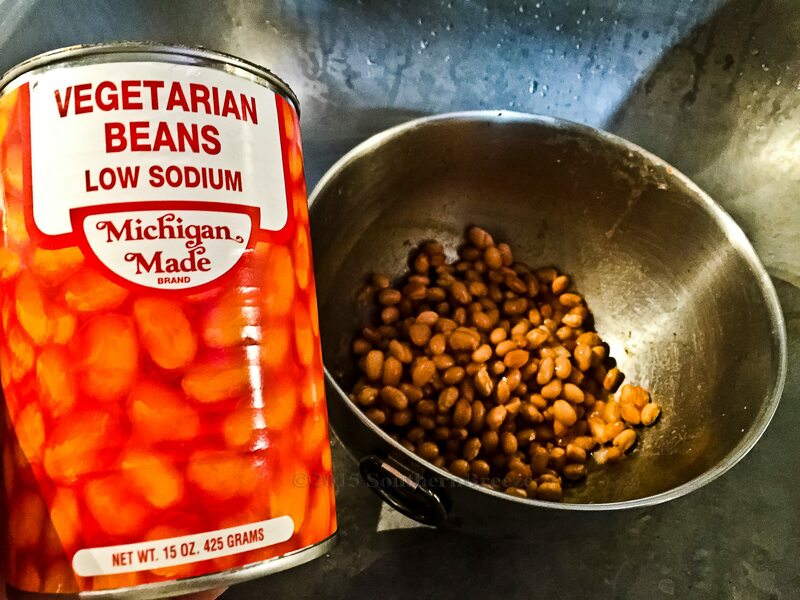 You know beans’ve gotta’ be REALLY bad when even a 4-day hungry dawg won’t eat ’em! You KNOW food is genuinely bad when even a hungry dog won’t eat it! It’s summertime, and truth be told, folks and critters don’t do much eating. ‘Cept for bears. Bears chow down during summer. They eat up, meat up, and sleep it all off over winter. This just gets creepier and creepier. In light of these recent revelations, perhaps the SCOTUS might want to vacate their decision. For a decade or so, Hobby Lobby and its owners, the Green family, have been generous benefactors of a Christian ministry that until recently was run by Bill Gothard, a controversial religious leader who has long promoted a strict and authoritarian version of Christianity. Gothard, a prominent champion of Christian home-schooling, has decried  the evils of dating, rock music, and Cabbage Patch dolls ; claimed  public education teaches children “how to commit suicide” and undermines spirituality; contended  that mental illness is merely “varying degrees of irresponsibility”; and urged wives to “submit to the leadership”  of their husbands. Critics of Gothard have associated  him  with Christian Reconstructionism , an ultrafundamentalist movement that yearns for a theocracy, and accused  him of running a cultlike organization. In March, he was pressured to resign  from his ministry, the Institute in Basic Life Principles, after being accused by more than 30 women of sexual harassment and molestation—a charge Gothard denies. More MoJo coverage of the Supreme Court’s Hobby Lobby decision. We’re good with Sharia Law as long as it’s for business purposes. Think about that next time someone’s favorite religious nut job goes to court. Because of extremist, right-wing religious radicals, women are again being relegated to second class citizens, WITHOUT full rights and being further victimized by having access denied to birth control/oral contraceptives – i.e., Ortho Novum 777, progesterone, estrogens, etc. – NOT abortion. Those medications also treat other diseases exclusive to women, including polycystic ovarian disease, endometriosis, amenorrhea/ dysmenorrhea, etc. One’s private personal religious beliefs should never be on trial. Yet now, because of extremist right-wing radicals, the door is now opened wide to mandate any employee of a “closely held” multi-national corporation, to FORCE them to adhere to THEIR religious beliefs… even when it jeopardizes their health. Can you guess why this is funny? Hint: You MUST view the page. And just so you’ll be reassured to know, it is NOT pornographic. Though it was nominated for several categories, only One Oscar emerged from the 1990 Martin Scorsese-directed film Goodfellas, which is the internal award those in the film and motion picture production industry give themselves. Joe Pesci, playing the character Tommy DeVito, won the Oscar for Best Actor in a Supporting Role in Goodfellas. Robert DeNiro, whom played the Irish character James “Jimmy” Conway, and Ray Liotta, whom played Irish-Italian protagonist Henry Hill, and Paul Sorvino, whom played the character of the local Lucchese family mob boss Paul Cicero, neither won any such acclaim or coveted award. Based on the book and screenplay by Nicholas Pileggi, the story circulates around the fictitious character Henry Hill, whom as a 1955 youth began his life of crime, first with skipping school to park cars for nefarious Lucchese mob family members in his Brooklyn, New York City neighborhood, and gradually progressing into a full-fledged mobster. Desiring a life of crime, Henry Hill understands becoming a “made man,” is a difficult obstacle he must overcome to become a full-fledged member of the Lucchese crime family. Yet his criminal mentor Jimmy Conway, whom is Paul Cicero’s close associate, can neither become a “made man,” because of his Irish heritage. With Paul Cicero’s blessing, Jimmy Conway puts Henry Hill and Tommy DeVito together, and they become fast friends, and criminal compatriots. As the story develops the characters, Henry meets and falls in love with Karen Friedman, described as a “no-nonsense Jewish girl,” and they eventually marry and have children. Throughout the film, the strength and close-knit nature of the criminal companions and their families is demonstrated. The men work their various criminal enterprises together, their wives shop together, their children attend school and play with each other, and their families visit, dine and vacation together. The men are in constant contact with each other, and so are their wives and children. The strength of their bond is observed as a natural by-product of their consistent fellowship.